CHAIR’S MESSAGE WELCOME TO OUR FOURTH EDITION OF RECHARGE, AND THE FIRST OF 2019! What a fantastic start to the year! As we find ourselves marvelling at the fact that it is already March, we have so much great news to report. We are delighted to share the news that we have been awarded a grant of £119,136 over three years by BBC Children in Need. This grant will pay for the staff costs of the charity’s Children and Family Support Manager to deliver support right here in the North-east of Scotland. Read more about this on page 3.
general interest in this life-changing project. To find out more about the appeal and how you can get involved please contact bigbuild@charliehouse.org.uk This year I am particularly looking forward to being part of the Charlie House Ascends Machu Picchu (CHAMP) team, which will see 36 intrepid adventurers embark on a tough 10-day trip. Hopefully we see many furry friends, as per my picture, on our adventures! Money raised by the CHAMP team will fund the cost of one child’s bedroom in our new specialist support centre as part of our Big Build appeal. We look forward to sharing our pictures and stories with you all at the end of the year. On behalf of the Charlie House team, board and families we support, thank you for your ongoing support and here’s to 2019! in Need is committed to improving the lives of those children and young people who need it most. Our support to Charlie House will enable them to make real and lasting changes to children with life-limiting conditions and their families across the North-east of Scotland. To quote Charlie House Life is Precious, we believe that it should also be full of fun and friendship and look forward to seeing this funding in action!” BBC Children in Need relies on the generosity and creativity of the thousands of supporters and fundraisers who raise millions of pounds for the charity every year. To date the UK public has raised over £1 billion for children and young people facing disadvantage across the UK. activity is perfect for volunteers who want to help on an ad hoc basis. We are also looking for a team of volunteers to make a more regular commitment, helping in the café on a rota basis. I also regularly spend time with Laura, the Café Manager, about volunteer rotas and training. LUNCH: Some days I am very good and bring in something reasonably healthy for lunch; other days I sit in the corner and tuck into more biscuits and chocolates than is good for me! Whatever’s on the menu, I do try to get away from my desk – whether it’s to the wee seating area in the corner of the office, or, taking a walk round the block. Something I’ve taken from my previous role is walking meetings – walking and talking is a very effective way of catching up. We do check the weather before venturing out though! AFTERNOON: One of the things I love about my role is that I work with everyone in the Charlie House team. I regularly meet with the services team – the Children and Family Support Manager, Activities Co-ordinator and Community Nurse. As we continue to increase the number and range of activities offered to families, later this year we will be developing a small team of children and family service volunteers. I am working with the team to ensure that we have the right training and support in place. volunteers, supporters and staff – amazing team! 2. Getting out into the community to help spread the word about Charlie House. everyone in the Charlie House team and all those wonderful individuals, families, businesses and community groups that support us. The team is also planning some events to help raise awareness of our free support services to families, health professionals and members of the public and I look forward to helping develop and deliver these. Anyone who knows me knows that I have been known to talk – a lot! And there is nothing I love more than talking to people about Charlie House. I never cease to be amazed at the level of interest in and warmth towards Charlie House. Many people are aware of our plans to build a specialist support centre in Aberdeen but are keen to find out more about our current services and how they could get involved. Each week after work, I grab my dancing shoes and heading off to a dancing class. Yes, after more than 30 years of persuasion (I’m nothing if not persistent) I eventually convinced my husband to try ballroom dancing – and he loves it! We are no experts but have a lot of fun and on a good day can manage something that resembles a rumba! way I might be helping to make a difference to local families. from other charities and agencies. 6. The variety that comes with being part of a small team coupled with people’s willingness to help each other – you never know what you might get involved in! 7. There are always new people to meet and new things to learn. -half years and the thought of going back into that environment filled me with dread. I knew then that I needed to go back to work but I needed to do something that was more fulfilling and that was when I was approached by the Chair of a very special charity called Charlie House. 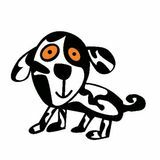 Charlie House is a local charity that supports babies, children and young people with complex disabilities and life limiting conditions. They not only support the affected child but also the whole family. They offer activity clubs, siblingsâ&#x20AC;&#x2122; clubs, emotional and practical support for both parents and siblings and a yearly trip to the Calvert Trust â&#x20AC;&#x201C; Kielder. Their main goal is to build a specialist support centre in Aberdeen that will provide planned and emergency respite, palliative and end-of-life care for children. Charlie House is very close to my heart as it provided me with a network of friends I would never have met, and an amazing support system where everyone is in the same boat and understands exactly what you are going through. Had Harrison still been here today they would have been invaluable to us as a family. I am so proud to now work for a charity so close to my heart â&#x20AC;&#x201C; something I would never have considered before Harrison. I love how I can give my input on what the families we support may or may not like based on my experiences, and I do believe that if anything positive had to come from losing our little boy it is that his legacy can help me help others. WE’RE DELIGHTED TO BE WORKING CLOSELY WITH ORGANISATIONS ACROSS THE NORTH-EAST OF SCOTLAND WHO RAISE VITAL FUNDS FOR THE CHARITY. HERE ARE JUST SOME OF THESE WONDERFUL COMPANIES. The Datto team began fundraising for Charlie House back in 2017 with Andrew Stuart, Deputy Chief People Officer, taking part in a CRN Fight Night. After Andrew sadly passed away, the team continued to fundraise for the charity which was close to Andrew’s heart by taking part in various events with people making donations in his memory. Since then the fabulous team have taken part in Ultra Bike Rides, the London2Brighton Challenge and a Christmas Advent Challenge. The Burness Paull team have been fundraising since 2018. The team hosted a social evening where a band formed by talented employees of Burness Paull performed at Orchid with employees making a donation to attend. They also carried out various fundraising throughout the year including bake sales, a World Cup Sweeper, roll runs and a silent auction. Fundraising since 2018, the wonderful team at Activpayroll have supported Charlie House in a variety of ways including the sponsorship of one of our activity clubs – a hugely popular circus workshop. They have also very generously purchased two manual slings for the families to use and also took part in various fundraising events including bake sales, dress down days and National Payroll Week fundraising. OUR HEARTFELT THANKS FOR YOUR INCREDIBLE CONTINUED SUPPORT. 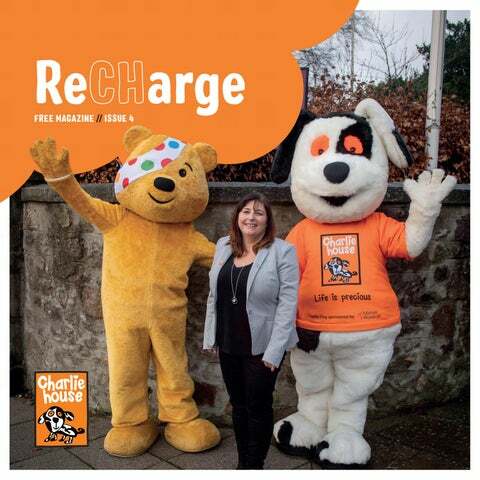 RECHARGE CAFE PUBLIC ENCOURAGED TO ‘RECHARGE’ AT NEW CITY CENTRE CAFÉ WITH 100% OF PROFITS TO GO TO CHARLIE HOUSE. HOW YOU CAN HELP JOIN US! As a small team at Charlie House we rely heavily on our volunteer network. Could you stand with us and make a difference in the lives of children in the North-east? Your donation goes towards supporting the children and families we support. Just £10 enables one child to attend one of our activity clubs. Shout about us! We have various social media platforms which we use to update our interested followers and supporters with our news, achievements and general good stuff. Sharing is caring so please help us spread the word about Charlie House. Whether you like to bake and are having a coffee morning with friends or have decided to run your first marathon, why not fundraise for us at the same time? Whether you choose to bake, walk, run, cycle or swim, the Charlie House team can support you throughout your fundraising. If you are looking for a challenge, they can also advise on available spaces for various events throughout 2018. Race marshalls Raffle sellers Cheer teams Refreshment hosts Event support Event promoters Bucket collectors and much more! SHARING IS CARING SO PLEASE HELP US SPREAD THE WORD ABOUT CHARLIE HOUSE.